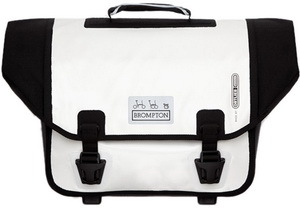 Waterproof bag designed specially for Brompton by Ortlieb. Ortlieb, the most respected name in waterproof cycle luggage, has created a bag for use exclusively with the Brompton front luggage system. The O Bag features the finish and functionality one expects from Ortlieb and it is offered in variety of Colours. • Comes supplied with a shoulder strap.